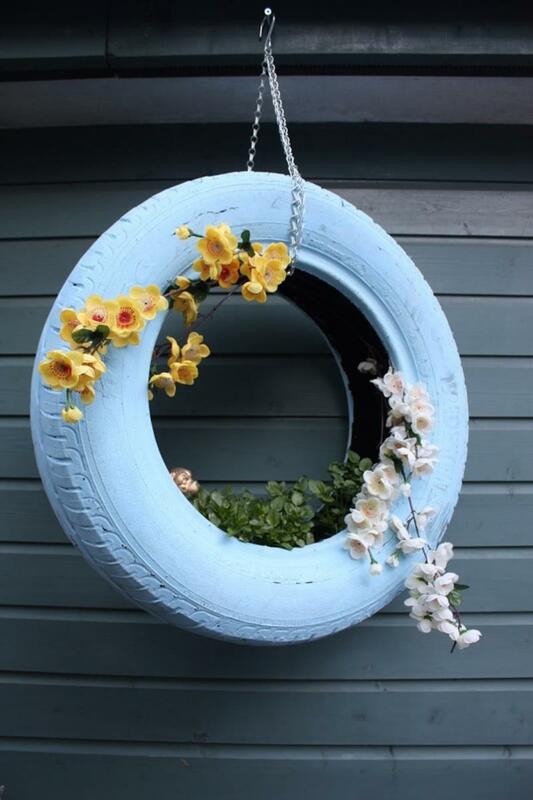 With a fresh coat of paint, an old car tire can become an extremely attractive hanging planter for your outdoor garden. 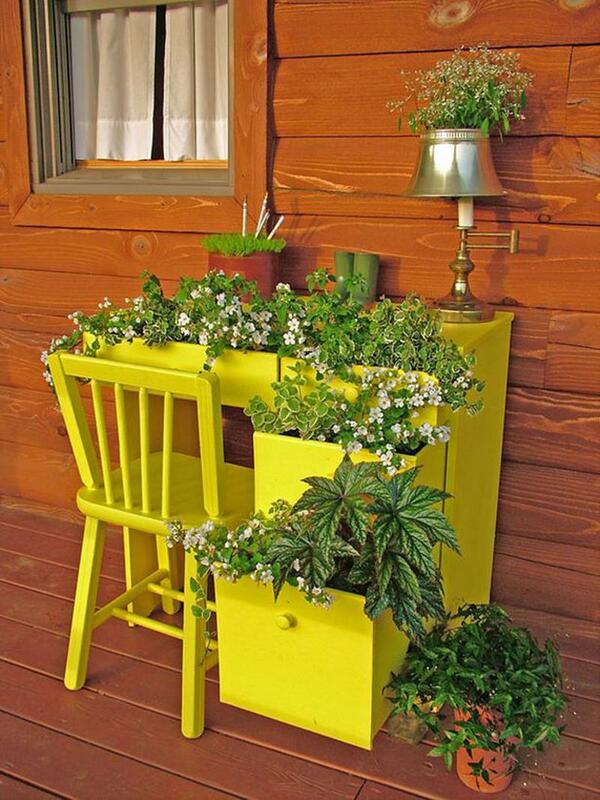 Just as you could with a dresser, an old desk and chair that you’re not using anymore could become the perfect recycled planter for your home’s patio or garden. 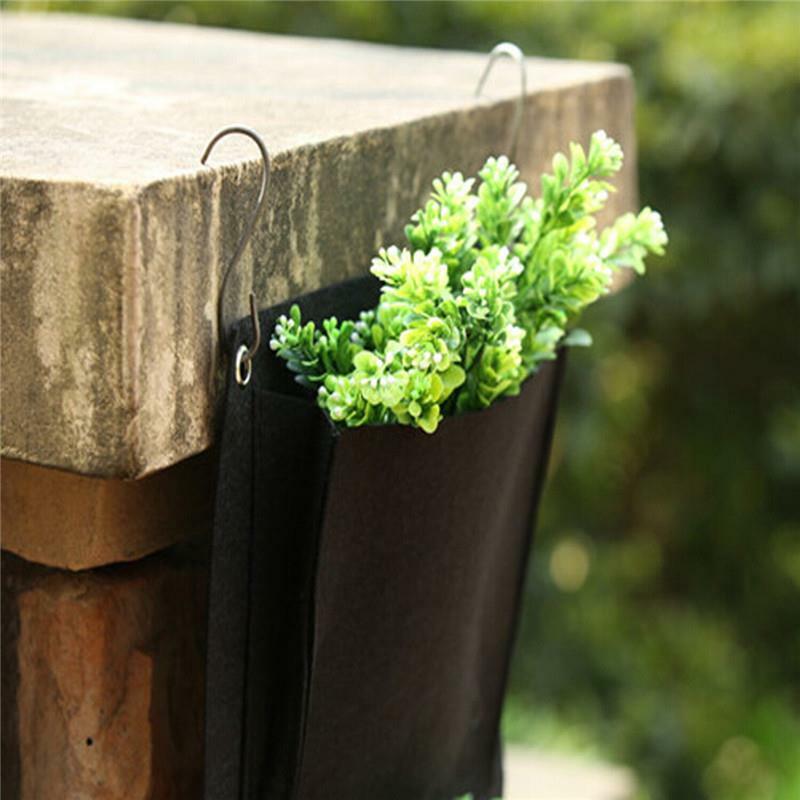 A canvas bag and a couple of grommets are pretty much all you need to create an attractive recycled hanging basket! 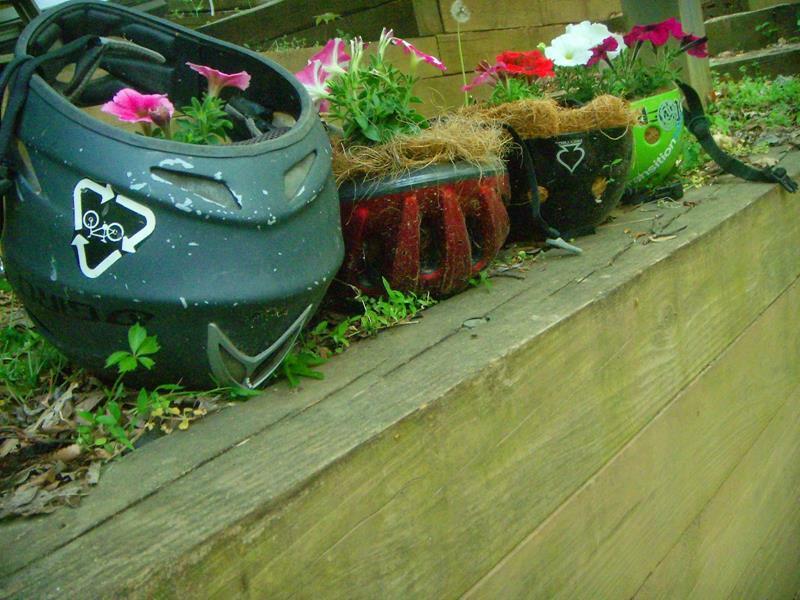 Old bicycle and motorcycle helmets can easily be turned into attractive planters. 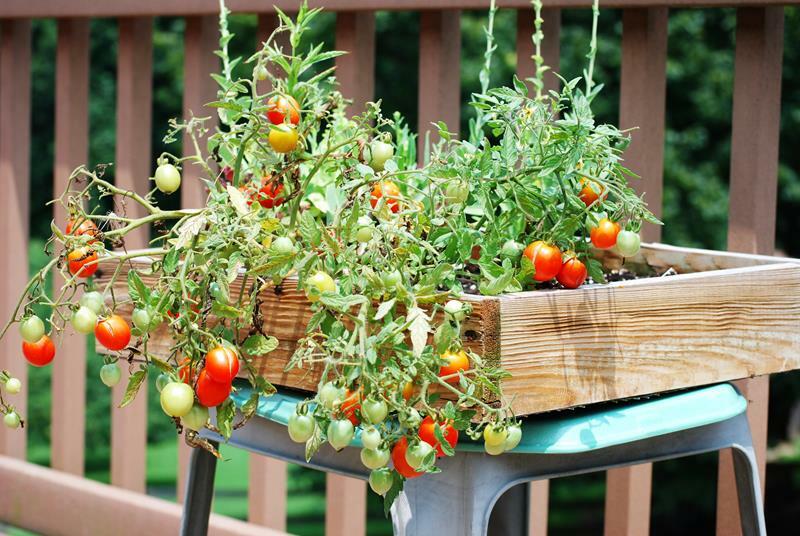 Just flip them upside down!